Indexing for quicker imports of previously imported catalogs – Catalog producers can now index their catalogs. This will allow users to import large catalogs containing few new updates more quickly. 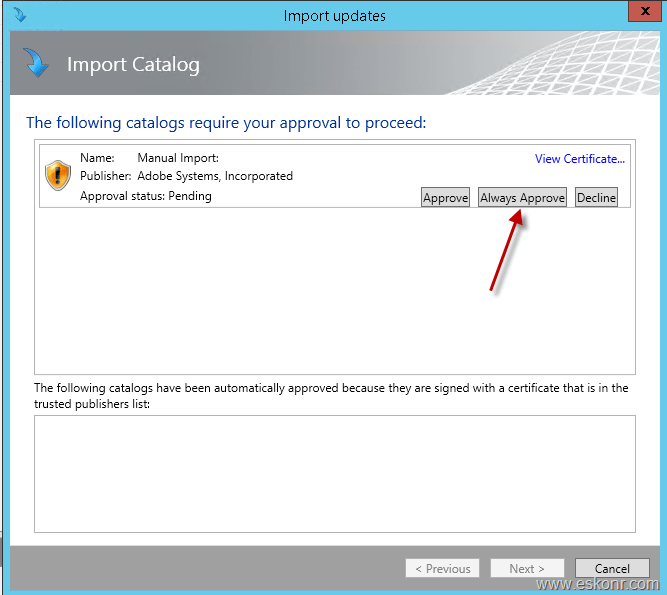 Inclusion of signing certificates within updates catalogs – Catalog producers can now include signing certificates with their updates catalogs. This enables users to add the certificates to the trusted publishers list during import so that approval prompts will not block publish operations. 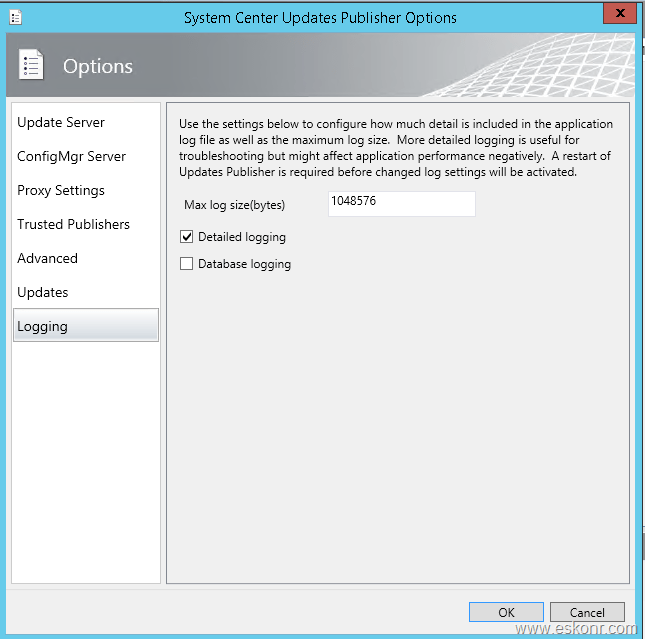 Signature Timestamp – Updates published to a WSUS server will by default have the signature time-stamped. Note, this functionality requires internet access. If you have upgraded from preview 1 this will not be automatically enabled. To enable or disable the signature timestamp or configure the timestamp server that is used see the Advanced page under Options. 1. Download the SCUP Preview here. 2. Run UpdatesPublisher.msi on a computer that meets the prerequisites. 3. Configure the options for SCUP. 4. Start using the features of SCUP. Run the downloaded file on supported platform OS ,in this case, i will run the installer on my SCCM server in my lab.My lab server do not have any SCUP .since this is still in preview,do not install in production environment. Before you run the SCUP tool ,make sure you meet the prerequisites listed below. 64-bit operating system: The computer where you install Updates Publisher must run a 64-bit operating system. 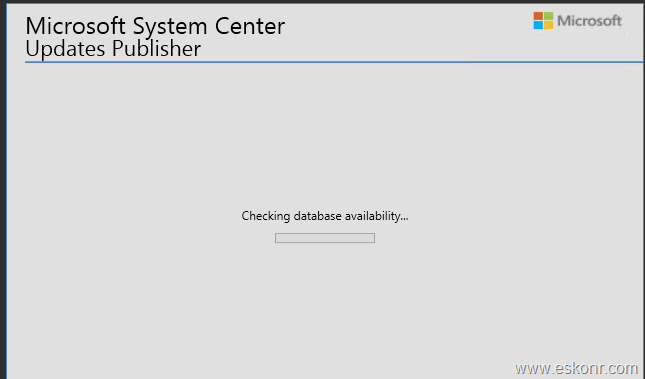 On Windows Server, install the default Administration Console to meet this requirement. For Windows 10 and Windows 8.1, install the Remote Server Administration Tools (RSAT) for Windows operating systems. 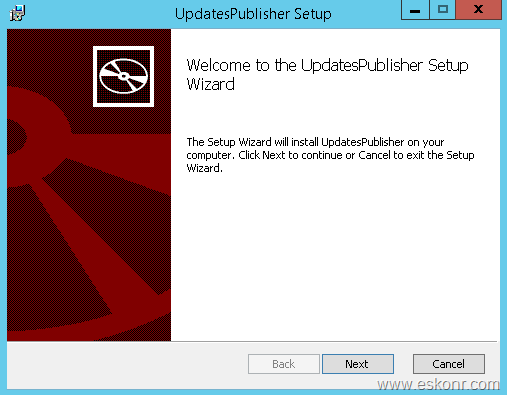 This installs the necessary support to use Updates Publisher (API and PowerShell cmdlets, and User Interface Management Console). Publishing, or operations that involve WSUS: Member of WSUS Administrators group on the WSUS Server. Accept the license terms ,let it do some pre checks before the console made available to you. 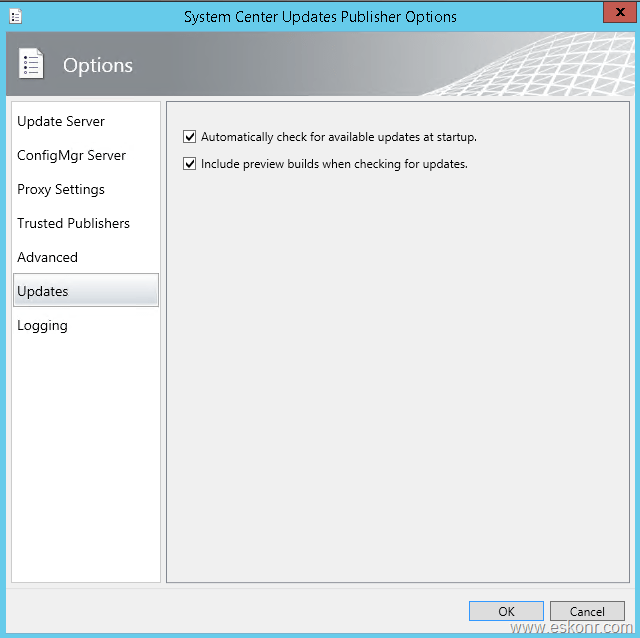 If you are using SCUP 2011 ,you now have 2 new features added in preview release with updates and logging. In advance tab ,you can now change the database file instead of leaving it in user profile and Signature Timestamp URL is enabled by default. Timestamp: When enabled, a timestamp is added to updates you sign that identifies when it was signed. 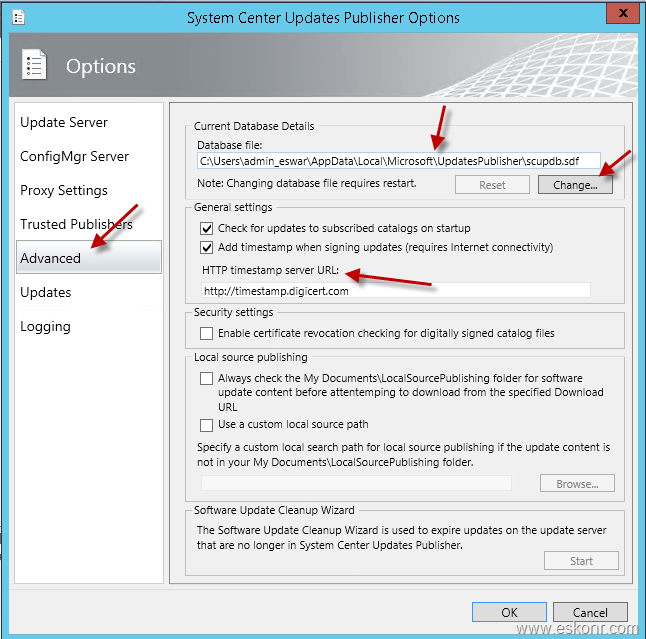 An update that was signed while a certificate was valid can be used after that signing certificate expires. By default, software updates cannot be deployed after their signing certificate expires. 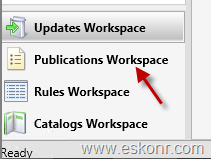 In preview release, all the nodes are added with workspace like updates workspace,publications workspace,rules workspace and catalos workspace. when you try to import download catalog file(cab) ,it will prompt you with few options like approve,always approve and decline. In the older version,when you try to publish the updates ,it prompt to approve the content which is troublesome if you have multiple updates published at one go. More to test on this ,Stay tuned until further updates. 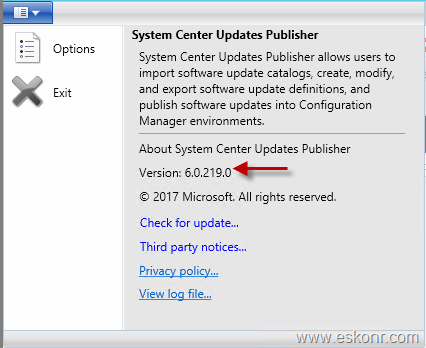 4 Responses to "System Center Updates Publisher (SCUP) September 2017 Preview 2 is available"
Hi Eswar - Have you heard of SCUP API for publishing the updates. This is a very good tool. Have a look and play around. I am going to try this tool to publish list of Adobe and other updates within my lab CB1706. No Ram ,i did not explore this tool .I can look at it later for sure ,thanks for the link btw. Do you know, is there any chance to release within this year? Have no information on the GA release of SCUP tool .we may have to wait until MS announce it.